In this week’s blog, I refer to: Budget 2018, Philip Hammond, National Health Service, Brexit, Housing Borrowing Cap, Housing, Local Government, Welfare, French revolution, New European, Cumberland & Westmorland Herald, Appleby Town Council, MHCLG, Social Housing Green Paper, Inside Housing, Housing Ombudsman, Training and Seminars. Philip Hammond presented his 2018 budget on Monday 29th October. In it he announced the government’s spending, tax and borrowing plans from 2019/20 to 2022/13. It is of even more interest than usual to those of us who are involved in public services. I have written a briefing paper that summarises the implications of the budget for public services, the reactions to it from the sector and provides some commentary. When I was a student one of the subjects that I studied was the French revolution. 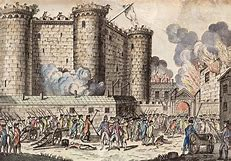 In the years leading up to the revolution the French government had a financial problem. They were running at a deficit, but they dared not increase taxes on the aristocracy who controlled almost all the wealth and income. The government’s response was a combination of borrowing and creative accounting that ultimately contributed to the fall of the regime. Does this sound familiar? This week I have had letters published in ‘The New European’ and the ‘Cumberland & Westmorland Herald’. My letter in ‘The New European’ was headed ‘Zero Sum Losers’. In it I contrast the politics of economics with the politics of power. To view a copy, please click here. My letter in the ‘Cumberland & Westmorland Herald’ concerned Appleby Town Council and the Appleby Moot Hall. 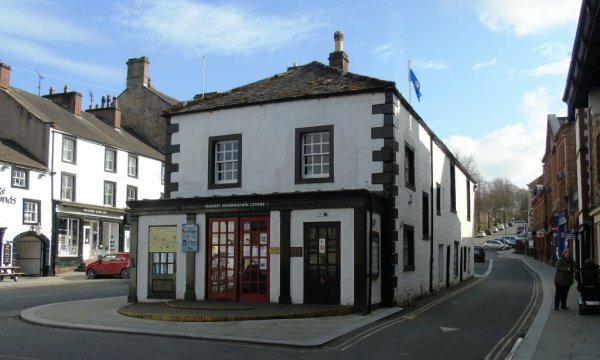 Regular readers of this blog will know that Appleby Moot Hall is a sixteenth century building. The Town Council recently went out to consultation on a proposal to extend and alter it. I replied to the consultation to say that I thought the building should be conserved as it is, and that alterations and extensions should be avoided unless necessary. Copies of my response to the consultation and a letter that I wrote to the ‘Cumberland & Westmorland Herald’ can be viewed or downloaded from earlier blogs. My latest letter concerns how the Town Council has managed its assets and finances to end up in a situation where it has a £½million liability to carry out repairs at the Moot Hall that it cannot afford. To view a copy, please click here. The Ministry of Housing, Communities & Local Government’s consultation on their Social Housing Green Paper closes next Tuesday 6th November. It is a significant document and I would urge readers of my blog who have an interest in social housing to respond. I have written a briefing paper on the financial implications of the green paper for local authorities. To view or download a copy, please click here.